Kelvin Tyres is part of Automotive Services Scotland, offering a convenient tyre fitting service for cars, commercial vans and 4×4 vehicles with a comprehensive range of replacement tyres from brands including Michelin and Pirelli. We will advise you on the best tyres for your type of driving and the conditions. We will also provide on-site wheel alignment to ensure you tyres do not wear unnecessarily. Our tyre prices are very competitive and we have a dedicated bay to service our tyre customers so waiting time is minimal. Call Kelvin Tyres now on 01355 22 27 42 to check our prices and book a tyre fitting appointment. 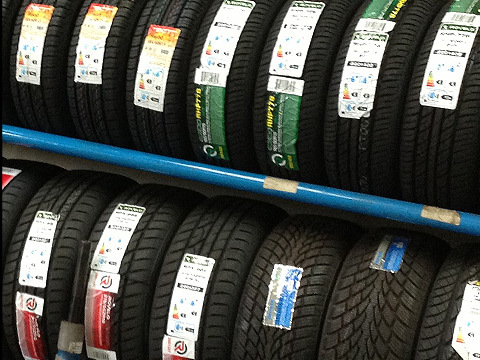 We stock all the major tyre brands - Pirelli, Viking, Bridgestone, Yokohama, Continental, Goodyear etc. for car, 4x4, Light Trucks & Vans, we supply All-Season Tyres, Winter Tyres for all seasons. Once your new tyres have been fitted we offer a wheel balancing and alignment service on all vehicles. Kelvin Tyres are specialists in budget tyres. With many leading budget tyres in stock like Westlake, Highfly, Sagitar, BCT, Evergreen and Rovelo you can be assured we have the right tyre for your vehicle at a budget price. We will carry out a full safety check for your tyres, free of charge.